“Cole” is an English derivative of the Irish word “ceol” which means “music”. Legend has it on Glasses Island that Old King Cole was a great musician. Our elders reckon he played the timber flute because “pipe” is an old word for fife/flute derived from the Latin word “pipare”. Our sing-along song is an adaptation of the traditional nursery rhyme and we sing it from the viewpoint of King Cole’s three fiddlers who enjoy playing music with him. Throughout the song there are three lead vocalists. There are also three lead instruments: flute, fiddle and mandolin. The lead vocalists and lead instruments represent the "fiddlers three". However, we double-tracked Quince on clarinet because the clarinet represents Old King Cole. He plays "pipe" with the three fiddlers. Listen out for the clarinet. It plays harmony. 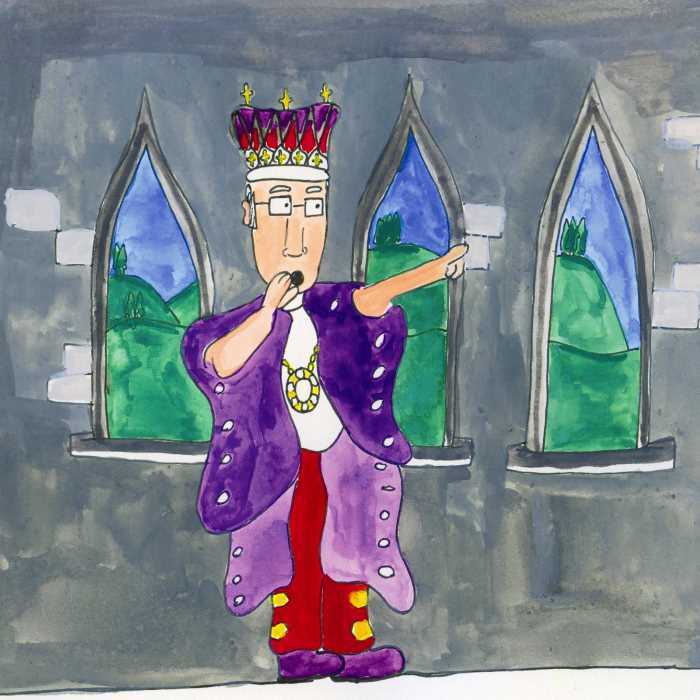 Click on the play arrow above to listen to our version of Old King Cole set to Irish music for kids. Go to our Old King Cole page where you can share our nursery rhyme with your friends and/or get it as a free MP3 download. Click on the arrow below to watch our youtube video clip of "Old King Cole"
Social, Environmental and Scientific Education/History: Include this nursery rhyme with our version of "Sing a Song of Sixpence" and expand on the roles played by the court’s musicians and jesters and by the wandering minstrels like Turlough O’Carolan.